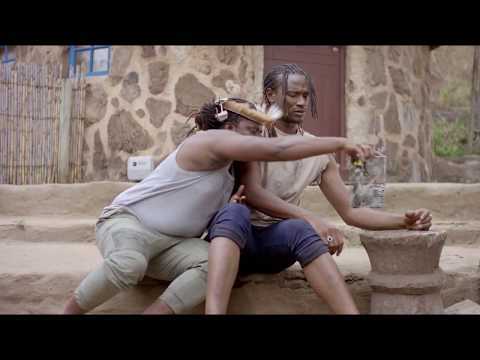 Legendary Zimbabwean contemporary singer, Jah Prayzah commissions the music video for the 3rd track of his recently released “Kutonga Kwaro” album. Titled “Nziyo Yerudo,” the African masterpiece features the heavyweight contribution of Mama Africa, Yemi Alade. Jah Prayzah who is known as one of Zimbabwe’s finest musical exports to the world brings those amazing vocal abilities to bare on “Nziyo Yerudo.” He goes through on the depth, tact and frontiers as he has done on several hit songs to numerous to match. Jah Prayzah is an African legend by all accounts considering the fact that the talented act holds several albums to his credit including Mdhara Vachauya (2016), Jerusarema (2015), Kumbumura Mhute (2014), Tsviriyo (2013), Ngwarira Kuparara (2012), Sungano Yerudo (2010), Rudo Nerunyararo (2007). However, the musical chemistry as shared with Yemi Alade on “Nziyo Yerudo,” might hold its place as one of the highlights of an already glowing career. The duo fused seamlessly as they combine English and Shona deliveries on a love-inspired vibe. The music video for the record as shot in South Africa by Godfather Productions simply projects an abundance of African beauty that already got us addicted to the motion picture of this sensation. Get right into its masterclass offering – simply stream, download, then share your thoughts and opinion in the comments section below.